Haq's Musings: Pakistan's Karakoram Glaciers Growing or Shrinking? 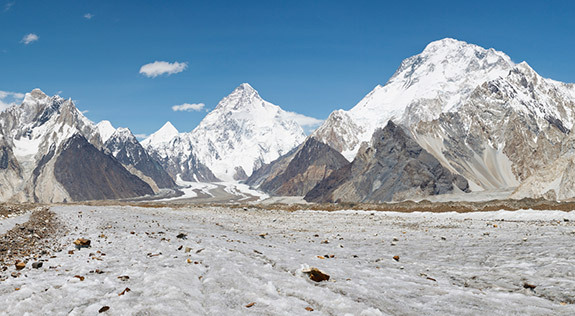 Pakistan's Karakoram Glaciers Growing or Shrinking? The implications are quite clear. Pakiland's water supply is going to increase and not decrease. So there is no need for Pakis to waste time and money in water saving measures or building dams. Just go about and have a splash! Majumdar: "So there is no need for Pakis to waste time and money in water saving measures or building dams. Just go about and have a splash!" Climate change and global warming are responsible for the melting of the Arctic ice and researchers worry that if things don’t change soon, there will be irreversible consequences. However, a new study revealed that in the last couple of years the Arctic ice has actually increased more than 50% despite the devastating effects of climate change and the rising temperatures. According to the scientists who conducted the study, the Arctic ice increased because the last couple of summers have been cooler than usual in the north polar regions. The scientists explain that this discovery suggests how changing the summer temperatures can be and how it can impact the ice platform. However, even if the Arctic ice seems to have increased in the last 2 years, the experts are still worried that climate change and global warming continue to seriously affect the area, and will be melting massive sheets of ice in the future. Previous studies have shown that in the last thirty years, the Arctic ice has been affected the most by the warming temperatures. The satellite images show that more than 40% of the ice that covers the region has melted away in the last 35 years. Rachel Tilling, researcher at the University College London, and one of the lead authors of the paper, explained that her team analyzed different climate factors that could have damaging effects on the Arctic ice, such as snow loading, wind convergence and the duration of the melting season during the Arctic summer. According to their findings, the length of the melting season was the factor that influenced the most. The scientists found that the last summers have been the coolest in five years, which is why the Arctic ice increased. The experts analyzed data collected by the CryoSat satellite, which belongs to the European Space Agency. The satellite took images of the Arctic ice for more than five years in order to determine its status and how climate and global warming affect it. According to the satellite data, from 2010 to 2012 14% of the Arctic ice deposits melted away. However, the next year, in 2013, the sea ice increased by 33%, while in 2014 there was an increase of 25%. The scientists said that before the CryoSat satellite started to analyze the sea ice, the measurements were not so precise. The details of the new study were published in the journal Nature Geoscience. They are urging meteorologists to include the less saline water in their weather forecasting models. Meteorology officials in South Asia admit they have been slow to consider the role of fresh waters. They are already struggling to forecast monsoon rains due to a range of factors including climate change. Monsoons account for 70% of the rainfall in India and neighbouring countries between June and September. 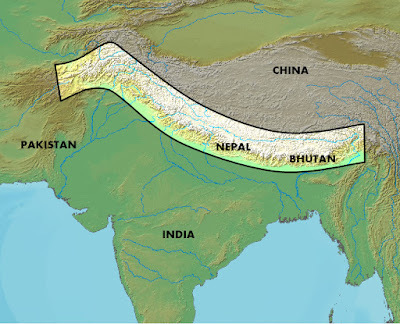 But longer dry periods and heavy rainfall within a short space of time during monsoon season in recent years have caused concern in South Asia. And this is already being seen this year, with higher rainfall than normal in June - whereas July and August are predicted to have lower than normal rainfall. Some meteorologists based in the region believe the freshwater element could be a vital missing link. Major rivers such as the Ganges, Bramhaputra and Irrawaddy flow into the Bay of Bengal. A team of international scientists are currently researching the issue. "Freshwater inputs from both rivers and a large amount of rainfall make the Bay of Bengal a rather unique place, and that is not properly being taken into account in the monsoon forecast models," said Professor Eric A. D'Asaro, an oceanographer at the University of Washington, who has been researching the Bay of Bengal with scientists from India and the US. "And that's one of the reasons they are not able to forecast what are known as monsoon breaks - in other words the variations on monthly time scales through the monsoon season. "The fresh water makes the surface layer of the ocean water much thinner and lighter and that reacts with the monsoon clouds more strongly whereas saline water would do so more slowly and that would have less effects on the monsoons." Researchers with the Ocean Mixing and Monsoon project say they have found a "sharp separation between river water and seawater on scales ranging from 100m to 20km". Every month, we round up some of the most strange, striking and plain stunning snapshots of the world around us. See more amazing images in the gallery below. originating from the HKH-TP region (see Figure 1a-c). sustainable water resources development, in the UIB. snow-glacier areas and use of different methods. calibration methods. These are discussed as follows.